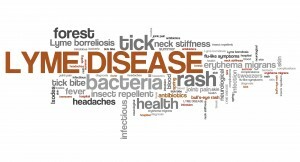 The commonly accepted treatment of Lyme disease with antibiotics is a bridge to a long list of diseases and conditions. Although this is rarely considered or talked about when a doctor hands out a prescription for antibiotics to a patient, it is a reality of antibiotic use. Choices for alternative effective treatments like Dr. Klinghardt’s Protocol are not as well known, leaving most people with a very limited range of choices. If someone chooses to use antibiotics, they should be armed with the knowledge of the consequences that are associated with them. A week doesn’t go by without several research papers or government organizations referring to the negative effects from the use of antibiotics. Antibiotics create antibiotic-resistant bacteria that are responsible for thousands of deaths around the world on a daily basis. Antibiotics are associated with the global obesity epidemic due to alterations of the intestinal flora. Antibiotics can cause sudden death, permanent disabilities, depression and anxiety, increased risk of skin, prostate, and breast cancers, DNA damage, lung and cardiovascular diseases, pancreatitis, altered liver function, and increased susceptibility to other infections. While scientific and regulatory bodies continue to amass data on the harmful consequences of antibiotics, medical doctors continue to go about business as usual in their antibiotic prescription practices, in violation of an FDA mandate. The heart of this discussion lies at the microbiome-mammalian symbiotic axis. The microbiome is the ecosystem within each us. Referred to as the densest ecosystem on the planet, this mix of bacteria, parasites, yeast, mold, fungus, and other microbes, has evolved to coexist with the human body. It is referred to by scientists as essential, necessary, critical, crucial, and indispensable to human health. Its role in human health is so indistinguishable from those of our own cells, that scientists are beginning to refer to microbes and humans together as a “Superorganism.” Neither the microbes or human cells can be altered in any way without altering the fate of the other. The microbiome not only serves as an essential buffer between us and the environment, but they also synthesize nutrients, regulate immune system function, influence metabolism, regulate hormones and neurotransmitters, affect behavior, impact pregnancies, down-grade inflammation, process foods, and so forth. The primitive view of microbes as the enemy should be relegated to archives of medicine. The originator of bacteria as “bad bugs”, Louis Pasteur, was one of the first to admit that his theory was wrong. The advancement of science in regard to the microbiome has evolved, while medicine has refused to budge. Given that someone with Lyme will typically receive a 3-4 week course of antibiotics, they are likely to experience a long-term effect that they will fail to recognize as relating to their past antibiotic use in the treatment of Lyme. This can result in endless doctor visits without a clear solution for their conditions. In other cases, this may look like Post-Treatment Lyme Disease Syndrome (PTLDS). Seldom will people realize that the imbalance created by the antibiotics is the root of their problems. The similarity between antibiotic side-effects and PTLDS symptoms is unmistakable. Some people will be able to tell that the antibiotics created an immediate side-effect that continued long after the antibiotic use ceased. Most may not be able to recognize obesity, diabetes, and neurological diseases later on in life as being related to their antibiotic use. Consider systemic fungal candida, for instance. One antibiotic pill can create a systemic fungal infection within 4-52 hours. If someone is taking a steroid at the same time, as in an inhaler for asthma, the systemic spread happens within 1-4 hours. In a 5- to 7-day course of antibiotics, all of the bacterial flora in the body will be gone, eliminating their ability to inhibit fungal candida. This will immediately leave the person vulnerable to other microbial infections, such as antibiotic-resistant Clostridium difficlie (C. diff) and E. coli. It will take 9-12+ months for the bacterial flora to repopulate the body and some strains will never return. During this time, there will be a proliferation of antibiotic-resistant strains of bacteria. Fungal candida will take root and spread to every available niche. Fungal candida will drive inflammation in the body, as inflammation helps to promote the growth of candida. Since inflammation is a part of every condition, this will create an additional factor in promoting diseases that antibiotics are already associated with, as well as the list of over 100+ conditions related to fungal candida. If alternatives to the use of antibiotics in the treatment of Lyme are not available or desired, then those receiving the antibiotics should be prepared to pursue options that correct the imbalances that result from their use afterward. A program that counters the effects of antibiotics by correcting the fungal form of candida back to its normal yeast form, boosting the appropriate immune responses, detoxifying the body, and helping to restore the normal bacterial flora will be a necessity following any antibiotic treatment of Lyme. The Candida Plan is such a protocol and was designed to reverse the effects of antibiotics. In the 26+ year history of the Plan, it has enabled thousands of people to turn back the clock on antibiotic side-effects and imbalances. While medical doctors hide their head in the distant past, it will be up to the patients to think their way through science and act to recreate their health. To be healthy is to think. It requires a conscious choice and the repeated application of sound principles.